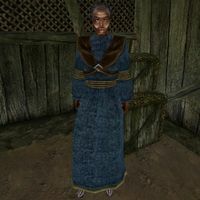 Trasteve is a Redguard trader at Fatleg's Drop Off in Hla Oad. He has a limited supply of weapons, armor, potions and various sundry items for trade. This page was last modified on 30 January 2018, at 06:12.